Compassionate care for your animal companion is the cornerstone of Morena Pet Hospital. Do you remember how your son's eyes lit up when his new puppy licked his face for the first time? Or how careful you were to choose just the right kitten for your daughter's birthday? Everyone at Morena Pet Hospital has a special memory about a favorite pet, and we understand exactly how important that relationship is to you and your family. As fellow animal lovers, we are committed to ensuring the highest level of support, information and service to give your companion the best life possible. Morena Pet Hospital is your full service animal hospital, located in San Diego, California. Whether your family includes a dog, cat, rodent, rabbit, reptile, ferret, bird or any exotic pet, our animal hospital is composed of a highly trained staff that offers the kind of service and care you and your pet deserve. Our Web site is full of valuable information about treatment options; advice for maintaining your pet's health; and even a complete Pet Care Library with detailed resources about animals and their care. On this site you also will find specifics about our practice, including office hours, driving directions, new client information, appointment scheduling and an introduction to our highly trained staff. Giving your pet the best possible care is our first priority. We hope you will contact us at our San Diego office with questions, or to schedule an appointment. Thank you for visiting our site! "To serve our patients in a courteous, professional, and kind manner. To let our clients and patients know they are valued, and to develop long-term relationships with them. In addition, we aim to offer state-of-the-art care with minimum discomfort, to promote regular preventative care in our office, and at home, so our patients can enjoy a lifetime of good health, and to provide an enjoyable, positive atmosphere for our employees to work in"
Morena Pet Hospital Testimonial Video: Hear what our clients are saying about our veterinary hospital! Every month is dental month, now at Morena Pet Hospital! Every client can save 20% off all dental related services when you schedule a pre-dental exam and pre-anesthetic blood work up within 30 days prior to your pets dental cleaning. Call to schedule today as appointments fill up fast. Click here to view more discounts & client specials. We are excited to welome Dr. Lindsey Porterfield to our Morena Pet Hospital family! She is certified in canine rehabilitation and is ready to help develop a plan to get your dog moving and keep them comfortable. Find out more about her under our Veterinarians and staff link. Dr. 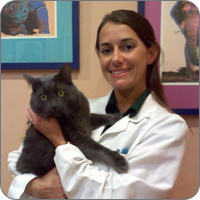 Crystal Steib graduated top of her class from Louisiana State University School of Veterinary Medicine in 2009, and is now the proud owner of Morena Pet Hospital. In 2006, she received her BS in Animal Science from Louisiana State University. 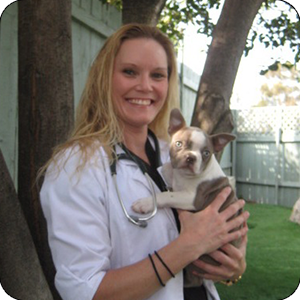 She is an active member of the American Veterinary Medical Association, the California Veterinary Medical Association, and the San Diego County Veterinary Medical Association. Dr. Steib is an active participant and advocate of continuing educational seminars. She joined the staff of Morena Pet Hospital as a full-time associate in August 2011. Dr. Jo-Dee Mahlberg is an associate veterinarian. She earned her Doctorate in Veterinary Medicine from Michigan State in 2010 and completed a small animal rotating internship in Norwalk, Connecticut in 2011. 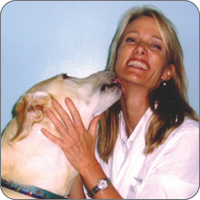 Dr. Mahlberg worked emergency and critical care for the past five years and has now transitioned in to general practice where she can get to know your pets and help keep them healthy for many years to come. Her areas of interest are clinical pathology, head trauma and renal disease. Dr. Lindsey Porterfield is a San Diego native who grew up in Encinitas. She received her Bachelor of Science in Physiology and Neuroscience from the University of California in San Diego and her Doctorate in Veterinary Medicine from Western University of Health Sciences. After graduating in 2013, she completed a rigorous year-long internship specializing in emergency medicine at Veterinary Emergency and Critical Care in Las Vegas. 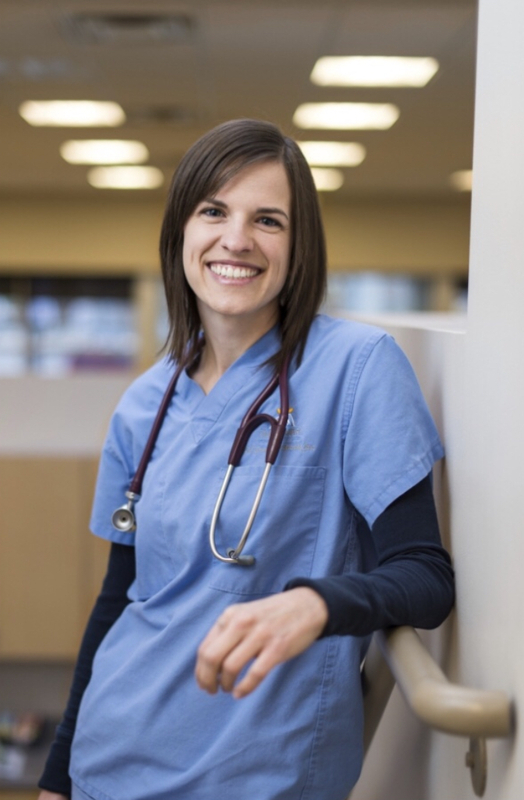 She has practiced as an emergency doctor at Utah Veterinary Center in Salt Lake City, as well as serving as a relief veterinarian at many San Diego private practices, emergency and multi-specialty hospitals. We are so pleased that she has found her permanent home at Morena Pet Hospital! Dr. Jeanne M. Potter is a 1987 graduate of U.C. Davis, and was the previous owner of Morena Pet Hospital from 1989 to 2016. She is a member of the American Veterinary Medical Association, Association of Avian Veterinarians, California Veterinary Medical Association, American Animal Hospital Association, and the Greater San Diego Business Association. "Everyone at Morena Pet Hospital is awesome. The staff are patient with the pet parents (thank you) and very compassionate towards my fur babies and reptile babies."